Started in June 2008 by award winning agent and entrepreneur Amber Werchon, Amber Werchon Property brings together a team of experienced sales agents, property managers and administration staff, who are all committed to further improving the customer experience and overall industry standards. 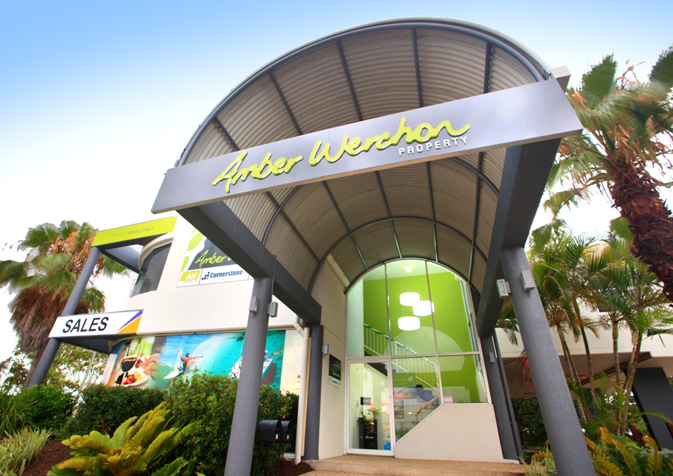 Amber Werchon Property has her office located in prominent position in Mooloolaba on the Sunshine Coast. Amber Werchon Property offers professional services in all facets of the real estate business including property management, residential and commercial sales. Also located at the Mooloolaba office is AW Money, the finance division of Amber Werchon Property. It is very much a team effort with every member of staff striving for the same outcome; the best result for our clients from the initial contact with our office through to settlement day. We believe in building positive relationships with our clients, whether they be buying, selling or renting. Real Estate is not just about property; it is about people… it is about you! Amber Werchon Property; its everything we would expect from an Agency if we were selling our own homes.